Here are my favourite products for the month of April! I started using Mac Studio Sculpt foundation again, I bought this a while ago and used it for about a week before trying something else, I didn't really test it out properly so can't really remember what I thought about it before! Although since using it again I have been loving it! I would say this foundation is medium to full coverage which I really like as my skin has not been behaving this month at all! If you would like a full review just leave a comment and I will do one! Underneath the foundation I have been loving the Revitalash primer*, you can read my full review here. I find that this has really made a difference to how long my foundation stays on for and prevents any shininess! 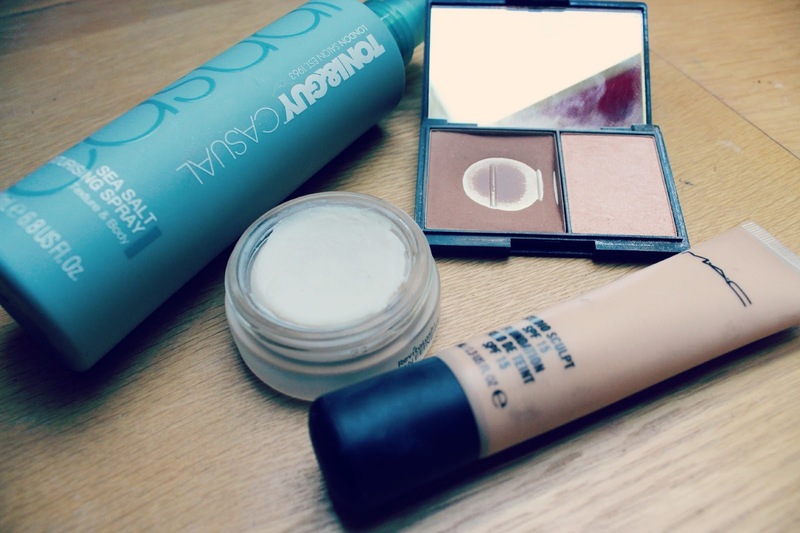 I have also been into contouring and highlighting a lot more this month, whereas before I was just applying foundation, concealer and powder with a blusher if I felt like it! My favourite is the Sleek Contour Kit, I find that contour powders are often too dark for my skin but this one is perfect, I love that they have different shades for you to choose from so there really is something for everyone! I also love the highlight as it has shimmer but it isn't overly glittery! Finally I have been loving the Tony and Guy Salt Spray, my hair is very flat and never seems to have any texture to it! I have used a few different salt sprays but I found that they never really did anything for my hair however this one is amazing!! Someone recommended that I should try it and I'm so glad they did, my hair has so much more volume when I use this and is great for when my hair is wavy or when I curl it! It is also really affordable which is great and when I run out I will definitely be repurchasing! I love the salt spray! I used to use the MAC studio sculpt but that made me breakout like crazy.... I prefer their studio fix liquid foundation as it's a lot lighter and doesn't make me break out. ooooh i might give studio scuplt another go, i recently went back to mac face and body after running out of foundation, i hated it at first but now i love it, so studio scuplt is next on my list. Oooo sooo many nice bits here! I want to try the Salt Spray, I love salt spray like a weird amount so definitely going to put that on my ever-growing list of things! 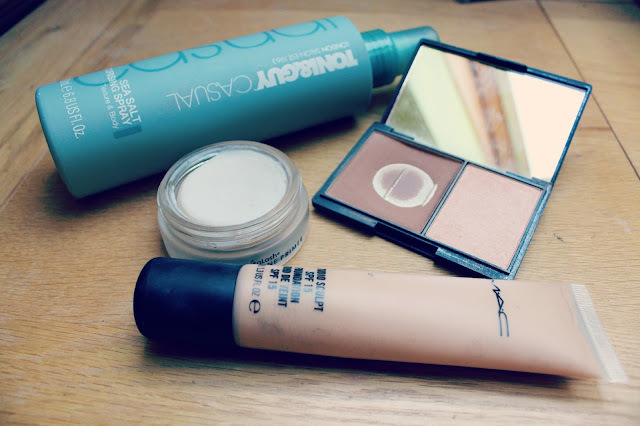 i haven't tried any mac foundations but am definitely interested in trying one! love the sleek contour kit, looks so nice and compact! I've been loving the bobbi brown shimmer bricks so much in April.. Can't get enough of mine!! I've had those on my wishlist for ages! !